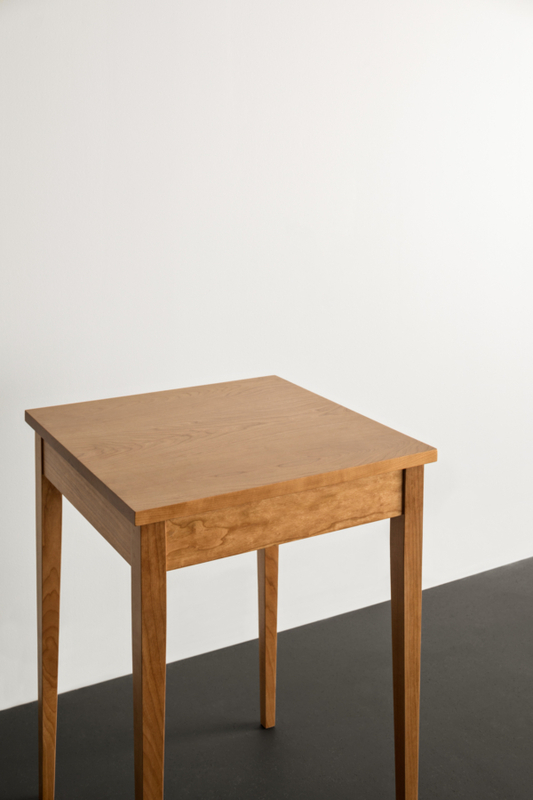 Inspired by our widely loved Table Minimus, our Companion Table offers a similar design but in a slightly larger size with a concealed front drawer. 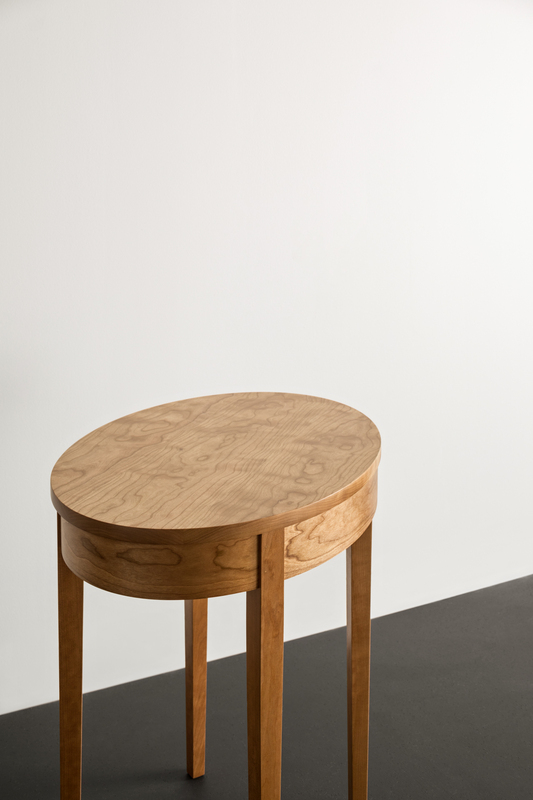 Our Companion Tables are purposeful pieces that can be made in a variety of configurations and wood species making them versatile and uniquely suited to any room in the home. 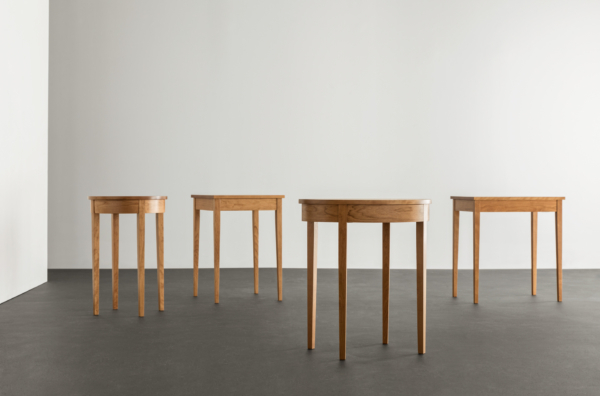 Reminiscent of Shaker styles, these tables all share the same leg structure, with four slender columns that rise to integrate with a supporting skirt. Companion Tables are handmade, with finishes that accentuate dense natural wood grains. 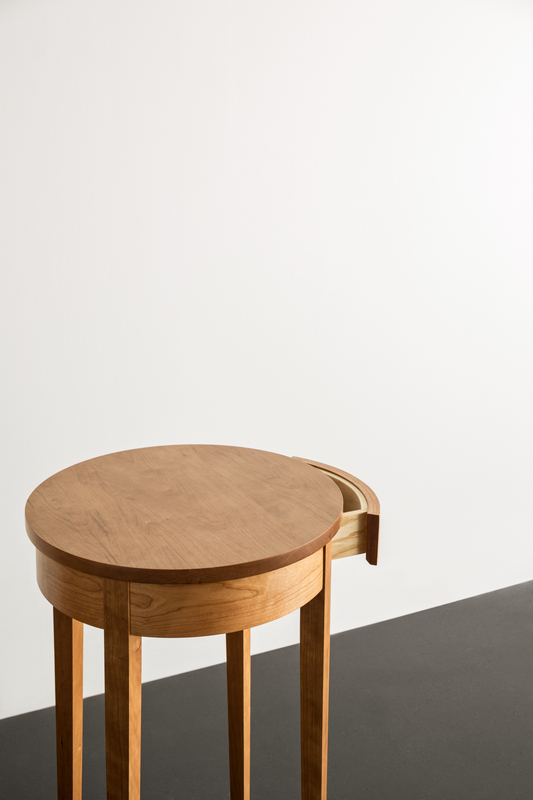 Resting atop four slender, tapered legs that finish in mortise-and-tenon joints with a supporting skirt, the tables celebrate space and rest with grace next to a sofa or chair. 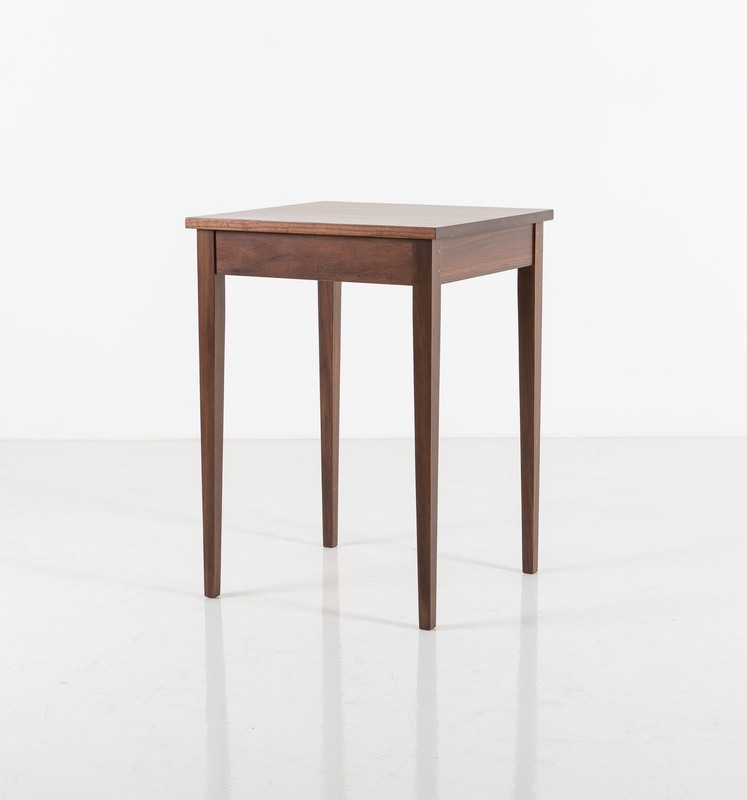 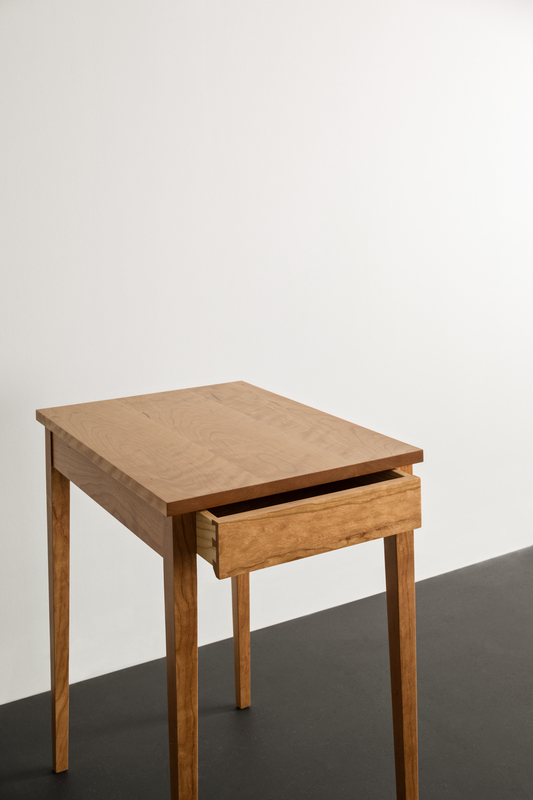 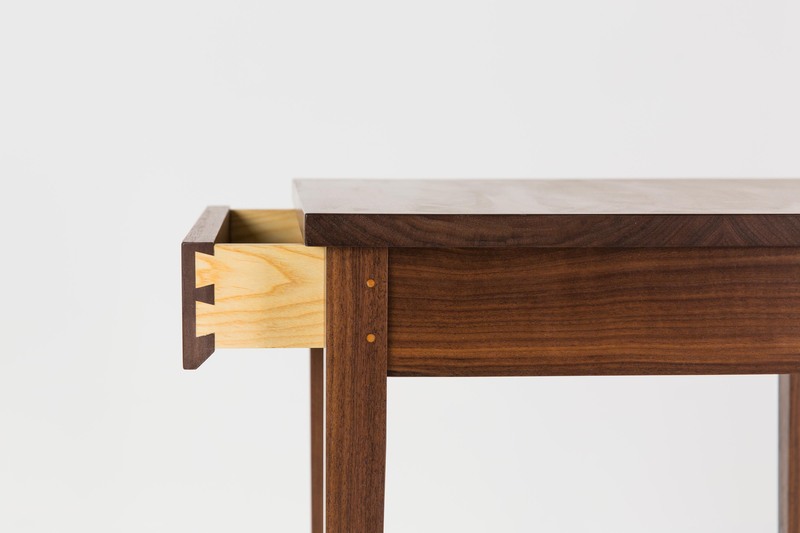 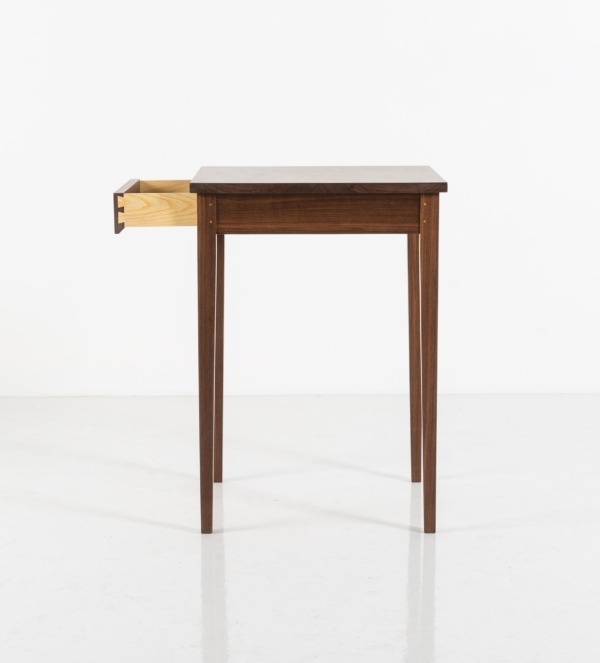 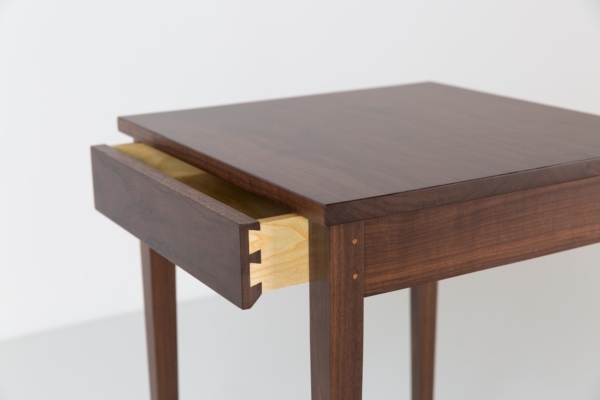 Each Companion Table features a concealed drawer for storing small treasures and a solid hardwood top that extends beyond the dimensions of their skirt. The hand-finished tabletops are both durable and beautiful and anticipate generations of use. These are family heirlooms that will perform indefinitely, with pleasing proportions that augment any environment. Whether presented as a welcome gift or introduced to your own environment, these distinctive tables demonstrate the true beauty of simplicity.